Coupa Software Inc. (NASDAQ: COUP) provides business spend management services to companies like salesforce.com, inc. (NYSE: CRM), Unilever NV ADR (NYSE: UN), Staples and Airbus SE/ADR (OTC: EADSY). Benzinga spoke with Ravi Thakur, Coupa’s senior vice president of business acceleration, about the company and its recent developments. “We help organizations and companies of all shapes and sizes spend smarter. That’s the bottom line,” Thakur told Benzinga. At its core, Coupa creates applications and cloud-based software designed to focus on business value, he said. With a unified platform, users are able to visualize and control all purchases, invoices and expenses. Coupa said it has connected hundreds of organizations with over 4 million suppliers globally. It's an overlooked and undervalued space, Thakur said. To learn more about other companies in the space, check out the Benzinga Fintech Summit, a gathering of the top leaders in payments, lending, capital markets, blockchain and cryptocurrencies in San Francisco Nov. 14. 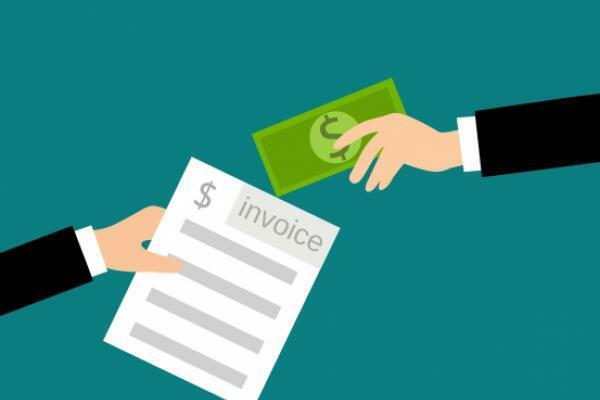 Coupa recently unveiled a business-to-business payments solution designed to simplify the processes utilized across several industries, according to a press release. “In the past couple of years, companies are getting into blockchain and cryptocurrency, and if you’re an organization managing hundreds of priorities, it’s difficult to find out what’s right for the company,” Thakur told Benzinga. “With this in mind, we’ve created capabilities toward a comprehensive suite of payment applications," he said. Coupa Pay, the first software platform of its kind, will offer payment and financing solutions that enable companies to spend smarter and improve overall business strategy, Thakur said. “Coupa Pay is a natural step in our journey to help companies spend smarter. It inherently offers a twofold advantage. Our customers get value by extending payments as part of their overall business spend management strategy, and their suppliers get a more efficient and inclusive experience throughout the process." The company intends to employ Coupa Virtual Cards for Purchase Order, which generate one-time credit card numbers for authorized suppliers. The Coupa Supply Chain Finance solution gives access to third-party payment financing through Coupa. This allows for simpler financing, according to the company. Shortly after the announcement of Coupa Pay, the company revealed a strategic partnership with Barclaycard, the leading global payment business congruent with Barclays PLC (NYSE: BCS). This duo will commence the integration of virtual cards through Coupa Pay, creating a fast and secure way for businesses to manage payments, according to a press release. “We’re excited to partner with Barclaycard as the first card issuer of our virtual card solution,” Thakur said in a statement.